Availability: This product is discontinued and no longer available for purchase. For alternatives browse our Golf Gloves department. The David Leadbetter ladies golf glove is endorsed by one of the world’s top golf instructors – David Leadbetter and perfect for right handed golfers. It is made from 100% Cabretta leather that provides durability and ensures comfortable feel. 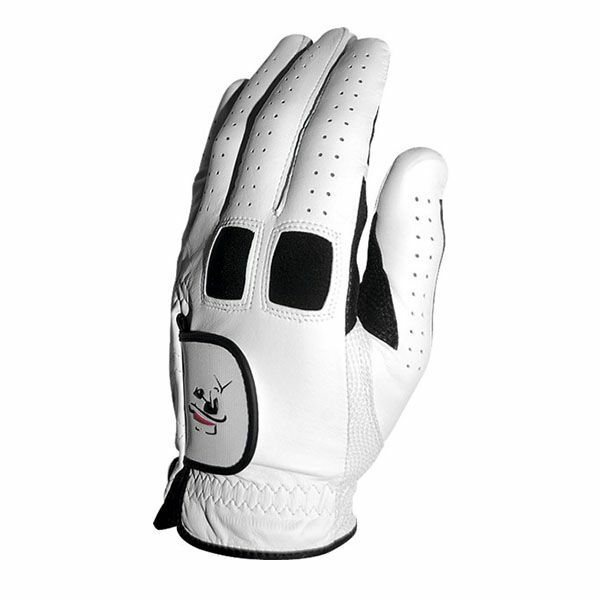 This left hand glove offers Pittards slip-resistant palm for stronger and sturdier grip, and features a range of technologies that provide the golfer with visual feedback and ensure the correct grip on every shot. The technologies incorporated in the glove include the knuckle indicator, life line indicator, palm alignment and V patch. The David Leadbetter ladies golf glove conforms to the USGA rules and is approved for use in any competition. for submitting product review about David Leadbetter Ladies Golf Glove.